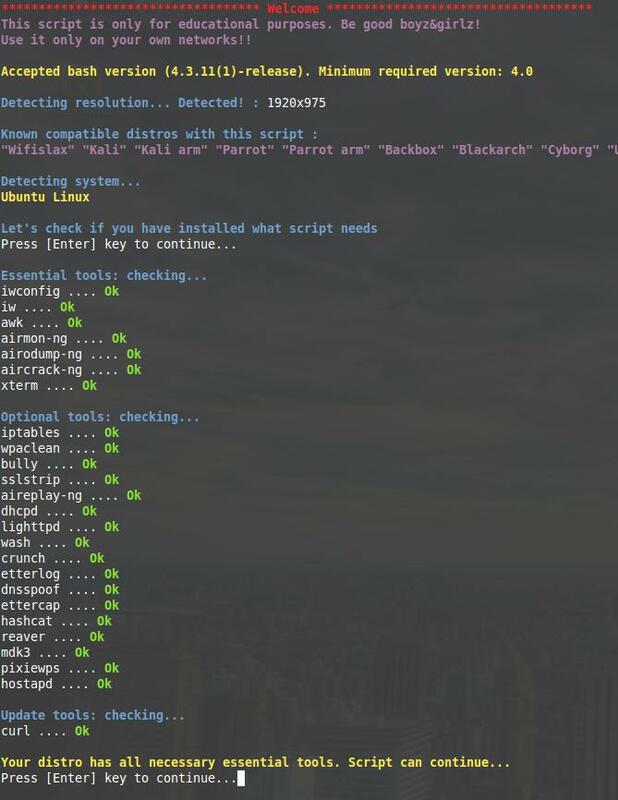 Airgeddon is a multi-purpose tool to audit wireless networks. It can assist you to crack Wi-Fi password (WPA / WPA2, WPS). It is one of the easiest program to hack Wi-Fi for absolute beginners. Airgeddon is Linux application it won’t work on Windows or Mac. There are a lot of compatible with airgeddon Linux distros. 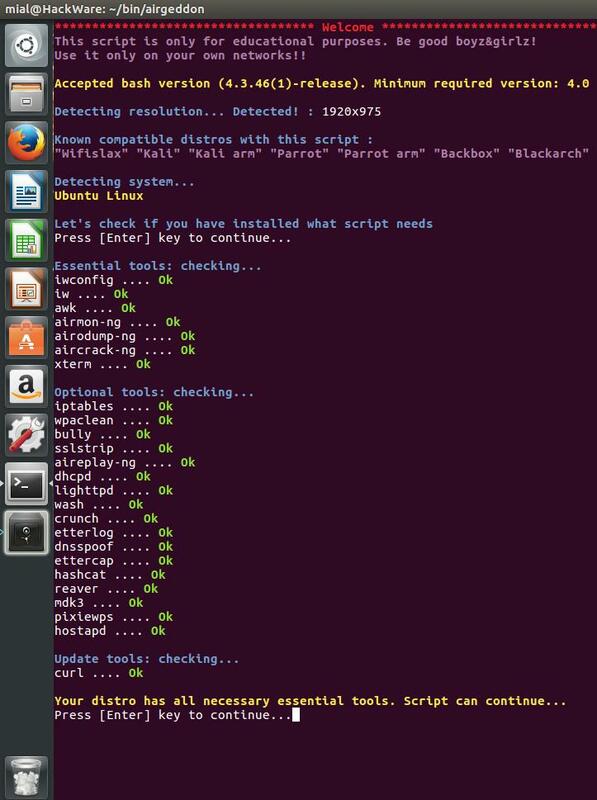 Anyway, it can be used with any Linux distro if you have installed the tools what script needs. The script checks for them at the beginning. This tutorial will guide you through installation airgeddon dependencies on Linux Mint or Ubuntu. They will close the applications (including the Network Manager) that might interfere. After you are sure everything is ok, you can clean OS from unnecessary any more files. While cracking passwords by bruteforce you can use mask attack or dictionary attack. The last one requires a wordlist. Rockyou – is powerful dictionary and it will come in handy. The next commands will download rockyou and clean it from inappropriate password candidates. When I go to compile 'aircrack-ng' I get the "No target and no makefile found. Stop." I realized that I had to run "autogen.sh" command, then it seemed to work, so why is that not mentioned on this instructions? Not everybody is going to know to go into the directory and open the readme.md file. Hello! A month ago, new autotools build system was merged with the source code. I got to know about that only now, due to you. So thank you a lot for the report. I will review the manual. When I restart my machine airgeddon is missing and some of the ruby components are not working. How can I make this a permanent installation? I finally managed to get airgeddon to work across reboots, I had to update my gems for BeEf and Bettercap, also updated Ruby to version 2.3. Then I git cloned the airgeddon package to ~Home/bin/airgeddon. Otherwise a great script, thanks for this awesome tool! The hashcat version you have installed (4.0.1) is greater or equal than 3.40 so you need to convert the capture files to "hccapx" format, airgeddon will do this automatically. To do this you need a converter that is not present on your system (hashcat-utils package), install it to be able to perform this attack. Like you said you're going over the manual, so hopefully that will be fixed as well. Followed this guide smoothly until the "sudo bundle install" where i get an error message like this "/usr/local/bin/bundle:23:in `load': cannot load such file -- /usr/lib/ruby/gems/2.3.0/gems/bundler-1.16.1/exe/bundle (LoadError) from /usr/local/bin/bundle:23:in `<main>' "
Do you got any workouts for that? After a few hours of browsing through the internet for possible solutions I think I found what the problem was. usr/lib/ruby/gems/2.3.0/gems/bundler-1.16.1/exe while in usr/lib/ruby/gems/2.3.0/gems folder there was only rdoc-421 gem folder. /var/lib/gems/2.3.0/gems/bundler (as in bundler.io homepage), then copied the folder in usr/…../gems and run again the install command. Thanx a lot for the guide ! I have known about this problem for several months, but did not add the fix to the guide, because I hoped that this obvious problem would be quickly solved. It seems necessary to note this in the guide. we need hashcat-utils for this script to convert to hccapx… Tried installing in /opt/hashcat, /opt/ in the airgeddon folder… nothing. Broken script section or am I missing something? 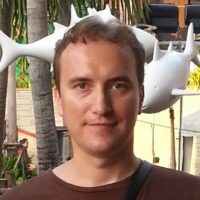 Any command to install hashcat? Dumb question from a novice. I had no problem installing. How can I undo all of the above?